Shannon Levy is an experienced musician who began as a percussionist before developing a love for learning new instruments, expanding his knowledge to go beyond percussion to piano, guitar, bass, and trumpet. Over the course of his thirteen years as a musician, he won numerous awards as a member of some of the best bands within the state of Florida, such as jazz ensembles, marching band, indoor percussion, and in different small ensembles as a percussionist, bass guitarist, guitarist, and trumpet player. After graduating high school, he immediately began teaching and instructing groups in South Florida, including his alma matter. Shannon worked with the percussion students throughout the year from marching band all the way into the jazz and concert seasons. These groups went on to win numerous awards and recognitions, including state championships. Upon completing his Associate’s Degree in South Florida, Shannon transferred to the University of Central Florida to complete his Bachelor’s in Music Education. 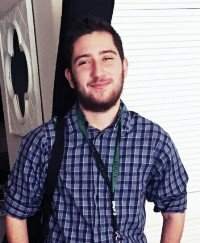 Alongside his studies as a musician, he continues to teach music to students across the Central Florida area.